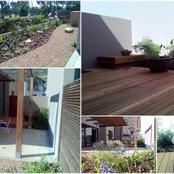 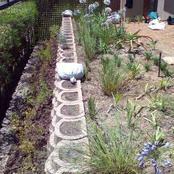 Up grade of town house garden. 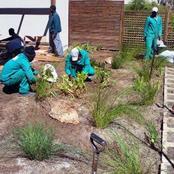 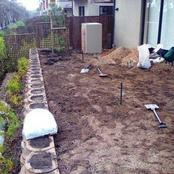 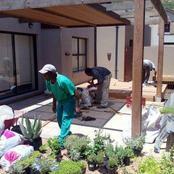 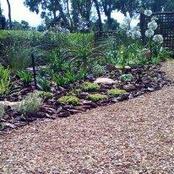 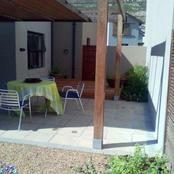 The garden had a small main garden area and so we built a retaining wall to increase the space. 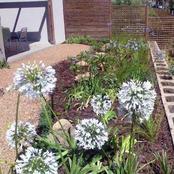 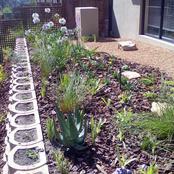 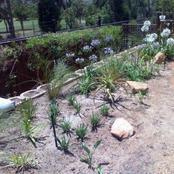 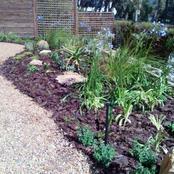 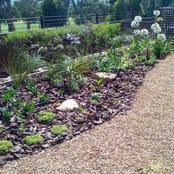 Using as much existing plant material as possible like Tecoma (honesuckle) Dietes grandiflora (Wild Iris) Chondropetallum (Restio) & Agapanthus. 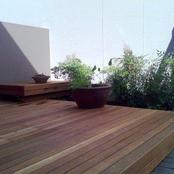 Off the patio we are adding a deck to increase space and aesthetics. 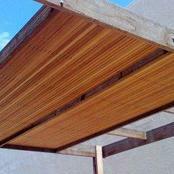 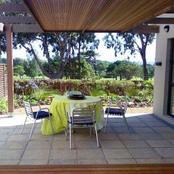 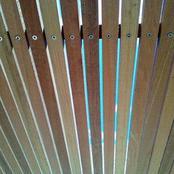 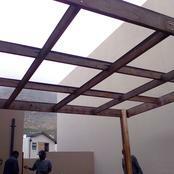 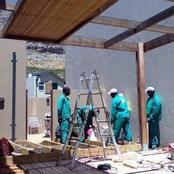 The existing pergola has had the middle 6 squares filled with Balau strips to give more shade and wind buffering. 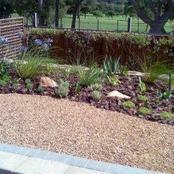 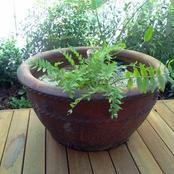 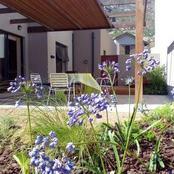 This has proved to look fantastic and has created an intimate space. 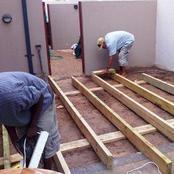 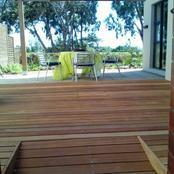 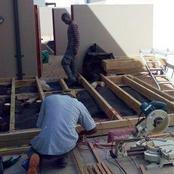 All wood work has been done by Deckscapes.